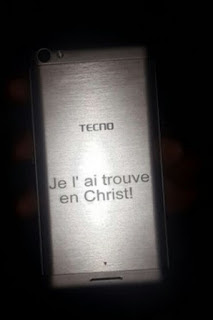 Do you want to customize your smartphone by inscribing, engraving or calving your name on the phone's body? 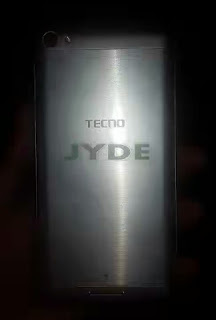 Do you want to pose like celebrities such as Tubaba and Wizkid that uses a customized handset? Before now, it costs some cash to do it but the good news is you can now have your name written on your smartphone free of charge without you spending a dime. How is this possible? Well, Carlcare which is the smartphone maintenance company mainly for all Infinix, Tecno and iTel phones is the secrete behind this. You can inscribe your YOUR NAME, INITIALS, FAVORITE PHRASE, MOTTO, VISION OR ANY UNIQUE TAG on your smartphone for free at Calcare service center, Opebi. This promo is only available for mobile phones that's has metal or steel back especially PHANTOM 6 & 6 PLUS, Infinix X601 L8 & L8 PLUS and many other Smartphones. To get this done, you have to walk into Calcare center along Opebi road and ask for the service. Not only that, you can also make online reservation using Calcare application on your Tecno by signing in or signing up and specify the date and time you would be coming. lolz.. i tot is sumtin i wil just do by myself.. all d same thanks bro.. This is an interesting article which i never knew about it before now. Are they still doing it?